The MHS WAT (work adjustment training) is designed to prepare high school age youth with significant barriers for independent competitive employment in the community by developing important work habits, attitudes, and personal and social adjustment skills. 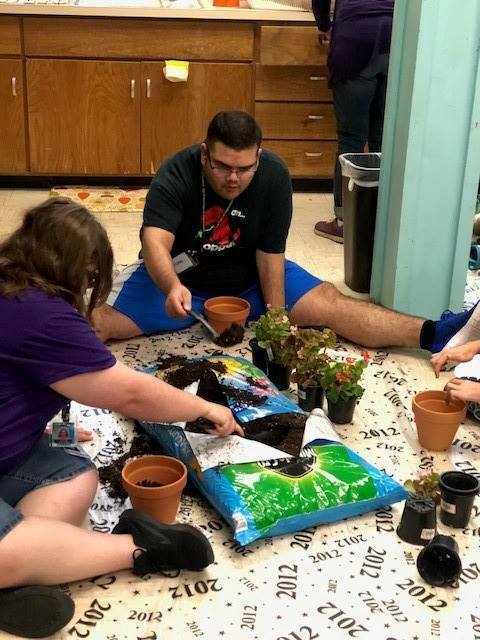 On a recent field trip, our kiddos were graciously donated several plants from the Home Depot gardening department, so they are now adding gardening as one of the jobs that our students will be doing throughout the year. They have applied for a grant for a greenhouse and are hoping to get something started that incorporates not just the SPED department but whoever else would like to join us on this journey into self-sufficiency through gardening. Contact MHS main office if you'd like to help these Highlanders out!